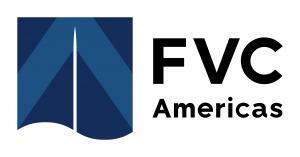 FORT COLLINS, COLORADO, USA, December 29, 2016 /EINPresswire.com/ -- FVC Americas (FVCA, dba of EnConnect Holdings, LLC) announced today it has finalized lease terms with Blue Ocean Real Estate Management as the new operator of the co-working space at 242 Linden Street in Fort Collins. The space was formerly leased by Denver-based Galvanize, which announced in late November that it will be closing its Fort Collins campus. Headquartered in Fort Collins and led by President Denichiro “Denny” Otsuga, FVCA will assume a control of the space as of January 1, 2017. Entrepreneurs who established an agreement in 2016 to rent co-working space will have the option to renew their agreements with FVC Americas at the same standard rate during the transition. FVCA is a fully owned subsidiary of Future Venture Capital, Co. Ltd. (FVC), one of Japan’s most prestigious venture capital firms. Just last month, FVC and FVCA named Fort Collins, Colorado as its headquarters for the Americas region, and named Denichiro “Denny” Otsuga as President to lead it.